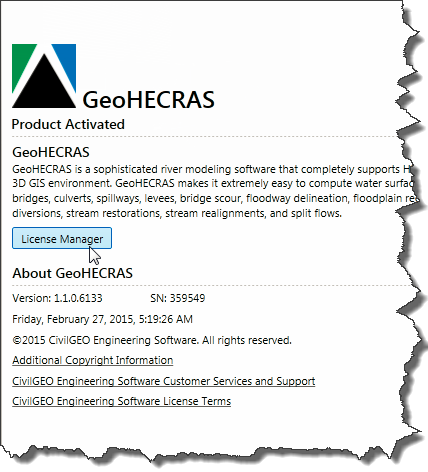 Our software is available as a node-locked workstation license or a floating network license. This article discusses how to move a node-locked workstation license from one computer to another. A node-locked workstation license is bound to an individual computer. If you need to move it to another computer, you first need to deactivate the license key from the computer that the workstation license resides on. Then, you can activate the workstation license on the new computer. How to Deactivate the License Key? Start up the software on the computer that the node-locked workstation license is to be deactivated from. Select File | Help. This will display the Help backstage page. From the Help backstage page, click on the [License Manager] button. The License Manager dialog box will be displayed. Choose the Deactivate Node-Locked Standalone License option. Note that this option will be disabled (i.e., grayed out), if a node-locked workstation license is not active on the computer. Click on the [Next>] button. Click on the [Yes] button to restart the software in Administrator Mode. Microsoft Windows will display the User Account Control dialog box. Click on the [Yes] button. The software will restart in Administrator Mode. Now, repeat steps 2 to 4. 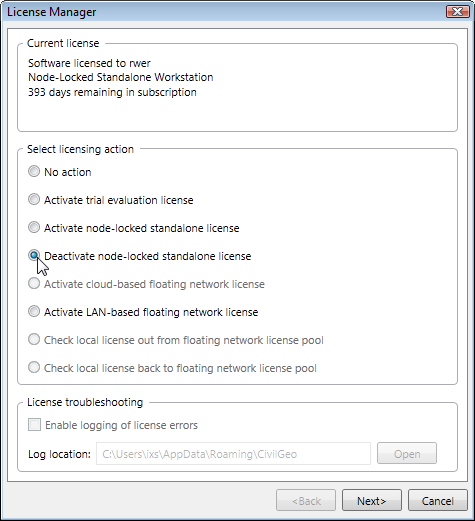 From the License Manager dialog box, make certain that the Deactivate Node-Locked Standalone License option has been selected. Click on the [Next>] button. 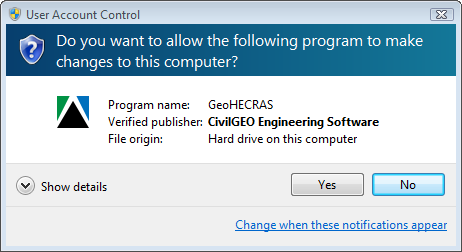 A confirmation dialog box will appear to confirm if you want to deactivate the license. Click on the [Yes] button to confirm you want to deactivate the license. The License Deactivation Key string will be displayed. Click on the [Copy] button. The License Deactivation Key will then be copied to the clipboard. 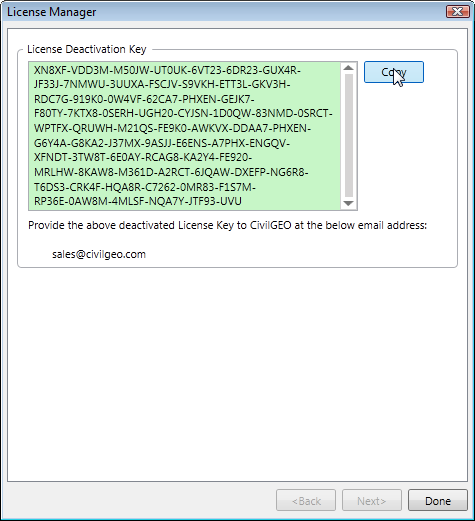 Provide the License Deactivation Key to your CivilGEO account manager or technical support engineer at sales@civilgeo.com or support@civilgeo.com. 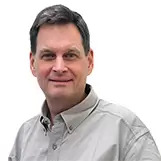 For the next step in moving the node-locked workstation license to the new computer, see this article.